Living as We: Doctor How and the Illegal Aliens by Mark Speed: Interview and Giveaway! 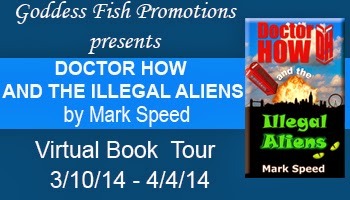 Doctor How and the Illegal Aliens by Mark Speed: Interview and Giveaway! 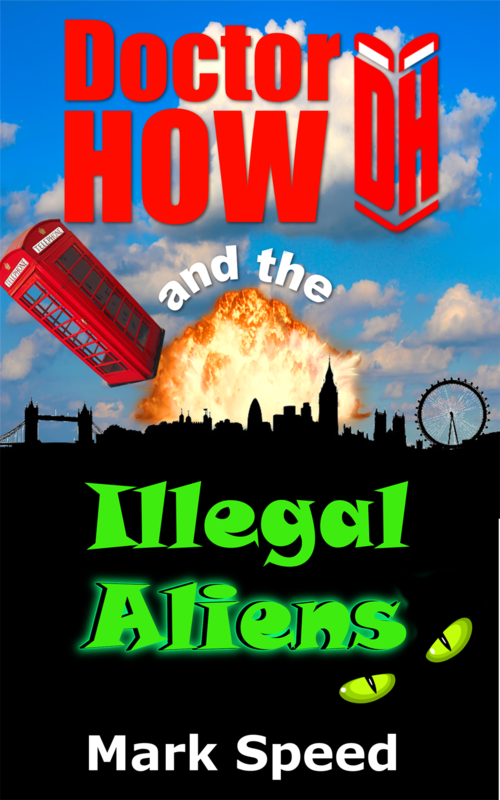 Please welcome Mark Speed here on Living As We for the Doctor How and the Illegal Aliens book tour! Mark will be giving away a $50 Amazon Gift Card to one lucky commenter, so be sure to follow along the rest of the tour stops for more chances to win! A surprise dawn hot air balloon flight was stunning. I was into heavy rock when I was younger. Oddly, I used to play classical guitar, and not electric. I like music that moves me, and beautiful voices. There’s evidence that we sang before we could talk – singing is incredibly powerful, which is why it’s either co-opted by dictators, or banned by religious extremists. I seldom get a chance, but love to strut my stuff. I used to have set routine with a friend when Jump by Van Halen came on. I think I might be living in it. It’s a terraced (row) house in inner London. It’s quiet and roomy, and I managed to preserve the original features. I’ve grown a ten-foot palm tree in the back garden. It even flowers in late spring. Sadly it has no other palm trees to pollinate with, or insects that are attracted to its flowers. I might track down one of the same species one year and do it myself with a feather. Stainless Steel Rat by Harry Harrison. A criminal mastermind with a dazzling range of skills, but a strong moral code and some great one-liners. He just has such a wild life, unencumbered by twin demons of responsibility and routine. “A misnomer.” Kevin looked at him blankly. “It means wrong name. It’s a misnomer put out by the BBC. TARDIS is actually a very rude word in my native language and nearly one in yours if you changed the ‘a’ for a ‘u’. A certain someone who will remain nameless thought it would be terribly amusing. According to the BBC, TARDIS is supposed to mean Time And Relative Dimension In Space.” The Doctor was now ranting wildly. “Can you believe the sheer gall of these people? Like they actually know, like they understand how the physics works?” The Doctor glared at Kevin, who shook his head. Silence hung in the air. The Doctor was breathing deeply. “You has got issues, innit?” said Kevin. 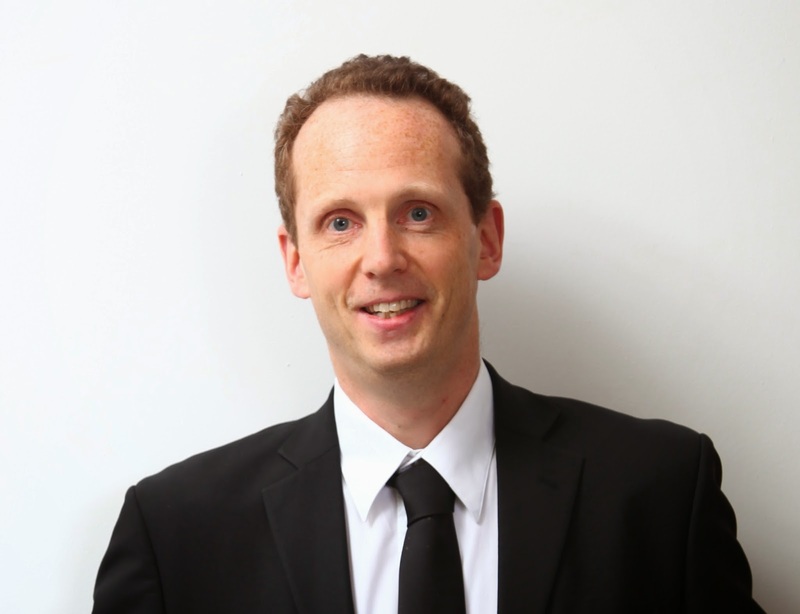 NLP founder Dr.Richard Bandler called him a ‘polarity responder’. I would love the Amazon card! Thank you so much for sharing this book with us! I have enjoyed learning about the book. I would love an Amazon card please. Amazon would be great! Thanks. I would love to win the Amazon gift card pleas! I would totally choose the amazon! Thanks for the chance! amazon because I'll be putting it towards my first e-reader! Amazon would be my first choice! I have a wish list there! : D Thanks for the giveaway. Soooo awesome of you! I thought the interview was cute. And I'd like the amazon gc, please. I like how he incorporates sci-fi into his writings! I would love the amazon giftcard! I enjoyed learning about the book and author. I love the summary of the book. Sounds very interesting! I like the question and answer section with the Author. I loved it! I loved the interview, very cool! I love reading author interviews always nice to have an insight into the person behind the story. This book sounds like great fun to read. What I liked best about the post is the interview with Mark Speed! I think it's cool the author has a palm tree in his yard. I have enjoyed learning about the book. Neat interview. I like that he grew a ten foot palm tree in his back yard! I never knew Dr. Who had a brother and my husband would love this book. I really lked the Q and A. That was an interesting episode. Bailey Dexter I enjoy the your review, now I need to read the book! The author is planning a 5 volume series on Dr. Who!